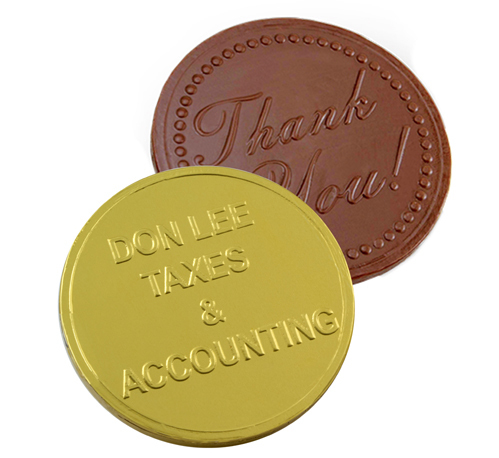 Show your support for your favorite political party with these Belgian milk chocolate Republican coins. 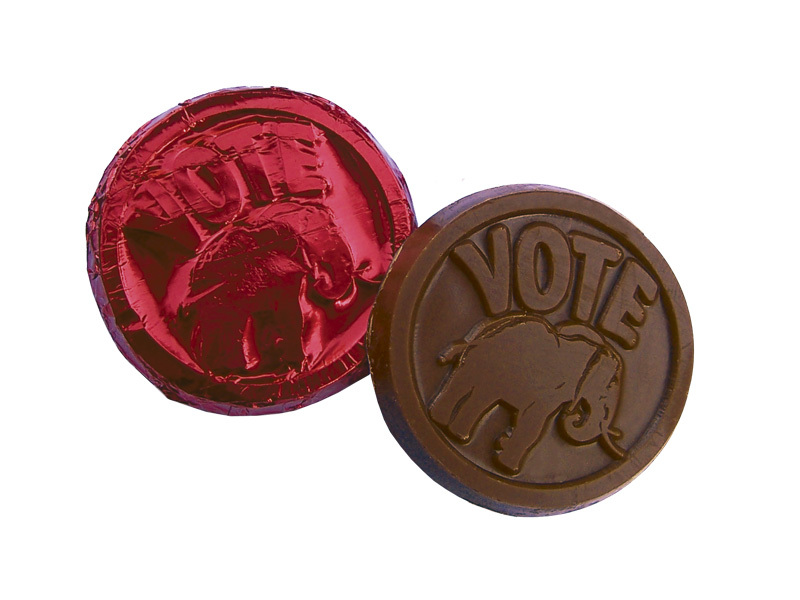 Our popular bite-sized milk chocolate coin comes wrapped in red foil and shows the words vote with the Republican Elephant through the foil. Each milk chocolate coin measures 1.5". It sells in Cases of 250 coins.